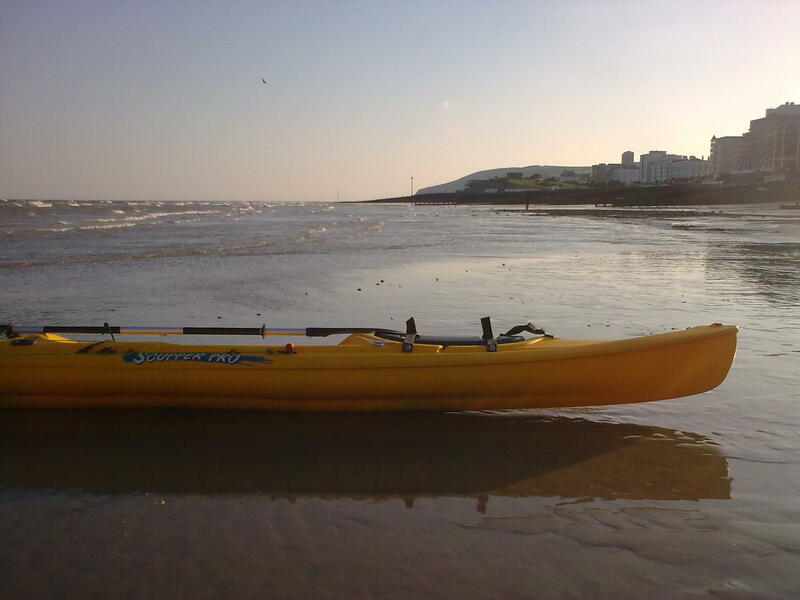 With the energy, enthusiasm and, sadly, the balance of a three year old, I set off on my inaugural launch in the new banana-yellow kayak off Eastbourne beach. What the pic doesn’t show is the biting northerly gale and beach surf. Nor me falling in. Thankfully. I haven’t even got close to trying the anchor nor my fishing gear so the nearest the family has come to cod is Harry Ramden’s at the end of our road.Watch this space….